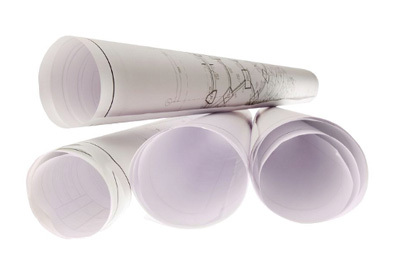 The scanning of large-scale drawings and plans is a particularly specialised area of our business. By combining our wealth of experience with the use of state of the art large format scanners and software, we are able to consistently achieve outstanding results from a range of drawings and plans. Whether your drawings are in full colour or black and white, in good condition or have seen better days, we can get the best results possible, without risk to the original material. With a wide range of scanning equipment at our disposal, we can accept all standard formats of drawings and plans. Our drawing scanning process is particularly flexible so we can work with anything from large format architect’s drawings to old linen hand coloured archival material. We invest in the latest drawing scanning equipment and software to keep our service at the head of the industry. Our large format scanners produce high quality scans in all standard formats up to an outstanding resolution of 2400dpi. Whether the detail is meticulous fine line pencil or exquisite artistic shading, we have the necessary scanning equipment and skills to create a flawless digital reproduction. By adapting our process specifically for delicate materials we are able to accurately scan linen, tracings and patched paper drawings, and achieve exceptional results without any damage. Our drawing scanning service is accredited to ISO 9001: 2008 and further backed up by our rigorous Assured Image Quality Guarantee policy. Additionally, our process is accredited to the ISO/IEC 27001:2005 information security standard. Our staff draw on a wealth of experience to determine the most suitable drawing scanning strategies for your particular needs. We hold manufacturer’s maintenance contracts for all our scanning equipment, and regular inspections and calibrations are carried out to ensure we achieve consistent, high quality results. Capture All provides a quality digitisation service which is simply second to none. Our entire drawing scanning service is underpinned by the Capture All Assured Image Quality Guarantee, which ensures that every single scan meets our strict internal standards. Any questions? Call Shaun today on 01324 670353.